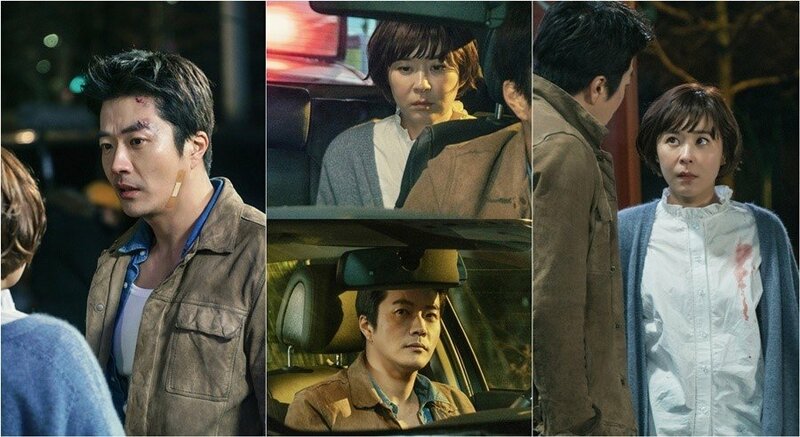 Choi Kang Hee (Thank You, Beating Heart) and Kwon Sang Woo (Sad Love Story, Queen Of Ambition) combine their star power in Queen Of Mystery (2017) as two characters who form a detective duo who are the complete opposites of one another. She thinks analytically like a Sherlock Holmes detective and he thinks with his fists. This was a fun drama that was well written for the most part, with some small continuity plot-holes that are easily overlooked unless you are too picky a person, and it's a nice break from the more serious detective and cop dramas that are usually produced. This writer Lee Seong Min Il, new on the scene, got her drama produced after winning a KBS competition for screenwriters, and she has a good sense of humor. I enjoyed her drama a lot. May she have more success in future. 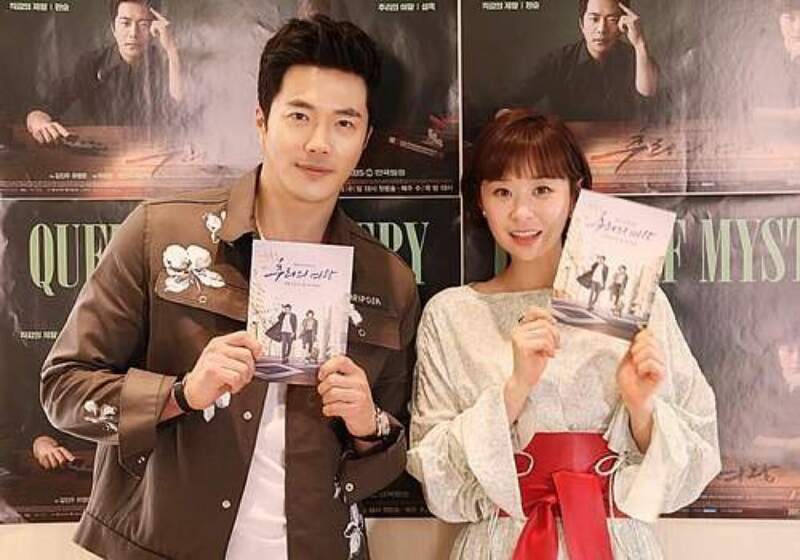 Funny and bright housewife Yoo Seol Ok (Choi Kang Hee) had always wanted to be a detective from the time she was young but early marriage to a prosecutor stopped her from her dreams. She had read detective stories for years and has good skills of logic and deduction but Yoo Seol resents having to be forced to be a backseat driver to her husband even though she’s good enough to take the wheel herself and solve crimes by herself. Yoo Seol has no interest in standard Ahjumma (middle aged housewife) roles, like fighting with her over-controlling mother-in-law, or bargain-hunting at the local shops. She is bored by those things. She yearns to solve crimes and then she gets a chance to solve a petty robbery case and that success and the publicity that comes with it inspires her to continue, even if she has to do her crime solving independently. Brawny and handsome Ha Wan Seung (Kwon Sang Woo) is an old school kind of detective who believes he can size up crime situations quickly without any real logical deduction methodology. He thinks he can figure out who is and isn’t guilty just by looking at them. The only way he thinks a criminal can be caught is with violence: chases, punches, and handcuffs. He launches personal attacks on his police colleagues who criticize him for his passions, and he earns a reputation as being difficult to work with. 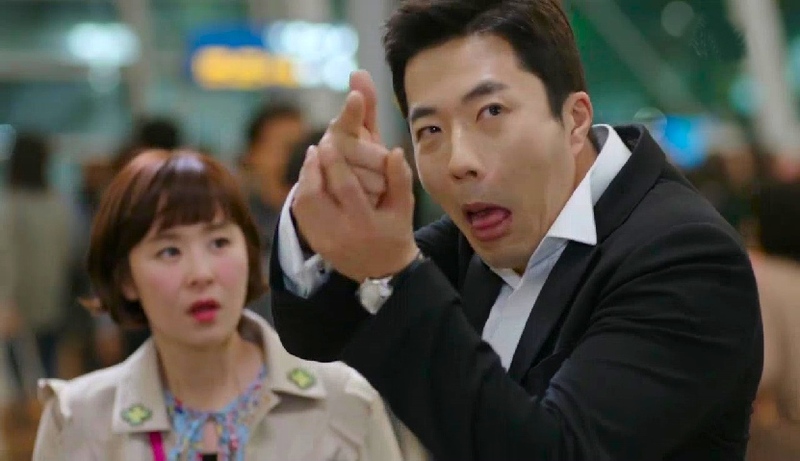 Ha Wan Seung doesn’t respect people like Yoo Seol, who insists the brain should be used to solve crimes and not just with fists, knives, or guns. It is obvious to Yoo Seol that Wan Seung's ways of solving crimes are passing into history and new, fresh approaches are needed. Crimes have been getting increasingly strange and frequent in the city in which he works, and the public is getting impatient and needs someone creative to solve the crimes, someone who can think outside the box. When Yoo Seol gets some news attention and notoriety for solving a difficult crime she is suddenly made Wan Seung’s new partner, to his great irritation. He's had years of hands on experience in police work and she seems to him to be just another meddling ahjumma basing her crime solving techniques on things she's read in books. He scoffs at her. Now, the old school detective and the debutante ahjumma detective form an unlikely duo. He brings experience, she brings creativity to their work finding criminals. Can they work together to put fear in the hearts of villains everywhere, or will the Queen of Mystery learn that being a crime buster isn’t like what authors wrote about in the mystery novels she's read? They begin to have great success together solving all kinds of crimes and for the first time they begin to earn respect from family, friends, and co-workers. Soon they are like two ducks in a lake together, quacking at each other to stay on top of things so that predators don't steal their home turf. Their successes start coming fast and furious, making them famous. 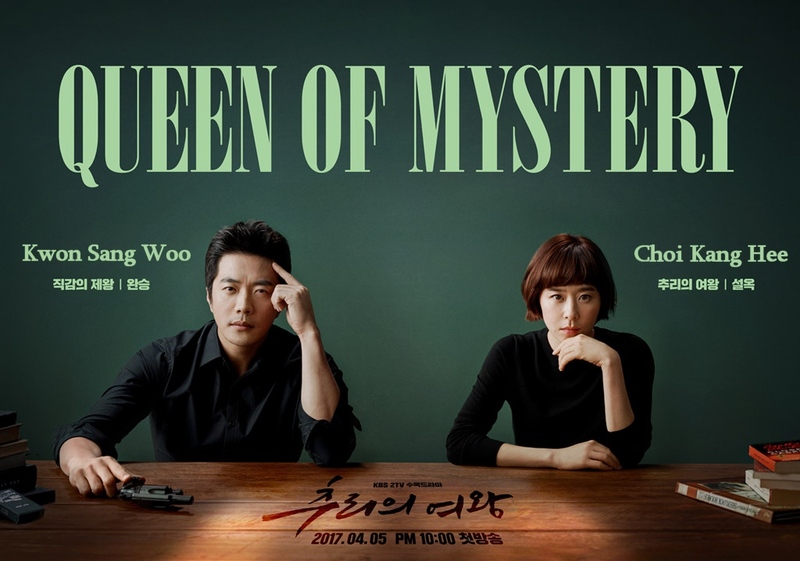 Queen of Mystery received decent ratings, some in the double digits, which is exciting for a new scriptwriter writing for Korean stars of this caliber. Its attractive leads, who develop a strong friendship bond without romance, showing audiences that a good drama can be written without a single kiss between male and female leads, succeeded very well at their roles. I wouldn't mind if a season two was developed for this series. The characters are fun to follow and it's a good show to relax and unwind to after work, with a glass of wine by your side. The extended cast includes Lee Won Geun as Hong Joon Oh, a young cop who admires Yoo Seul's tenacity and creativity, Shin Hyun Bin as Jung Ji Won, Kim Hyun Sook as Kyung Mi (Yoo Seol's friend), Yoon Hee Suk as Kim Ho Chul (Seol Ok’s husband), Jun Soo, Jin as Kim Ho Soon (Seol Ok’s sister-in-law), Park Joon Geum as Park Kyung Suk (Seol Ok’s mother-in-law), and Ahn Kil Kang as Bae Kwang Tae, one of the criminals the duo catches.